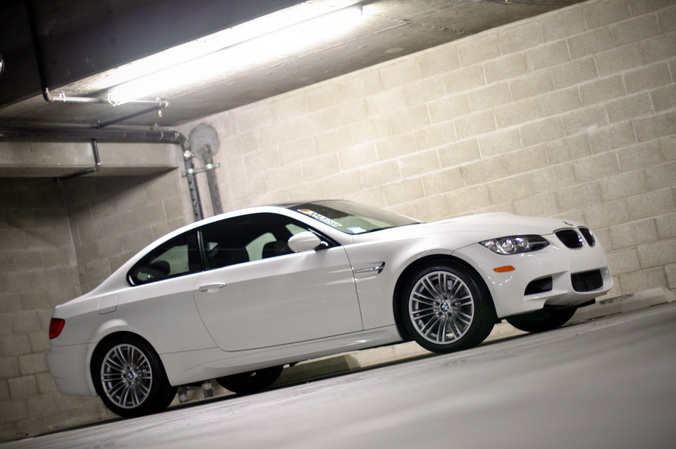 The day we took delivery of this pristine BMW E92 M3 ordered from Irvine BMW. 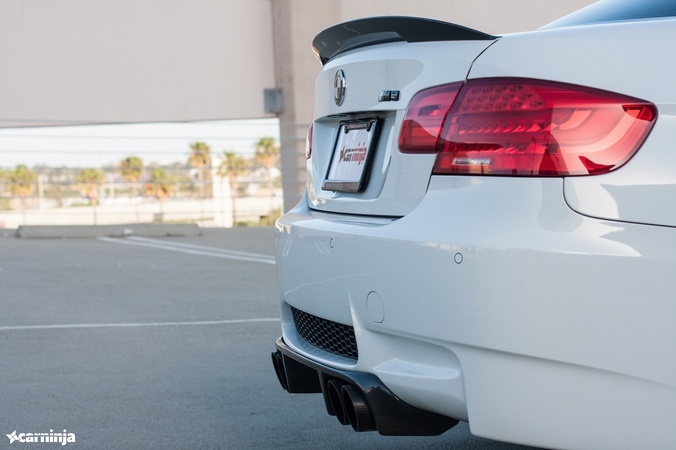 Now that the Mod Bug had bitten us it was time to change this M3 into something unique. The front bumper was changed out and fitted with an Amuse Ericsson bumper. 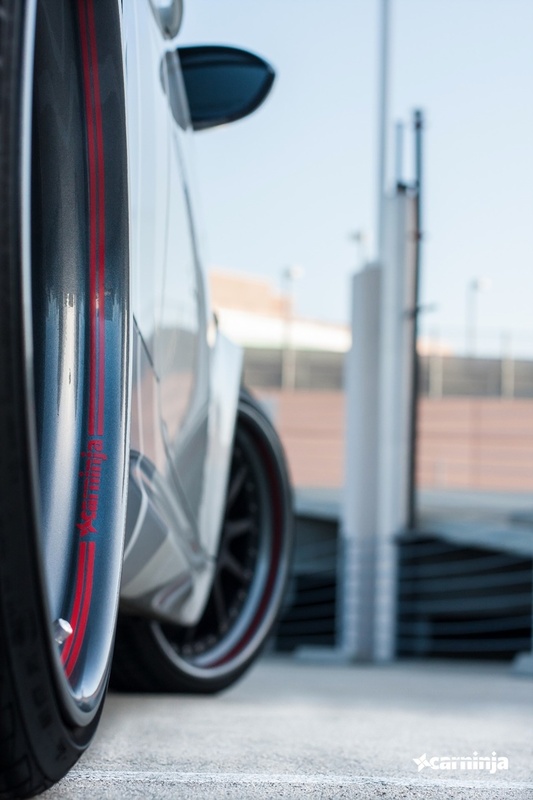 To compliment it's aggressive look we also attached a colored tow hook on the front. 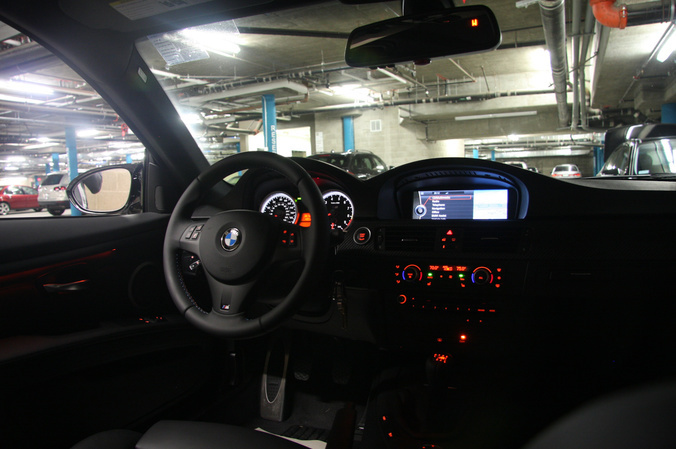 The Halos were upgraded to European Auto Source's H8 Halo Bulb Upgrade kit. 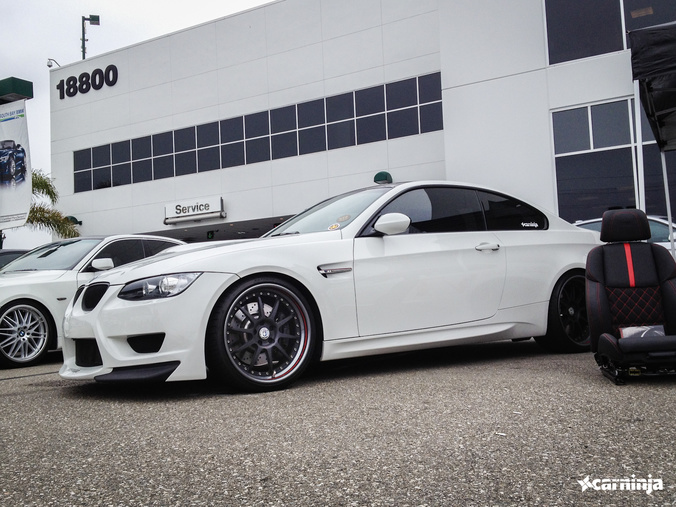 HRE C93 20" wheels where the wheel of choice. 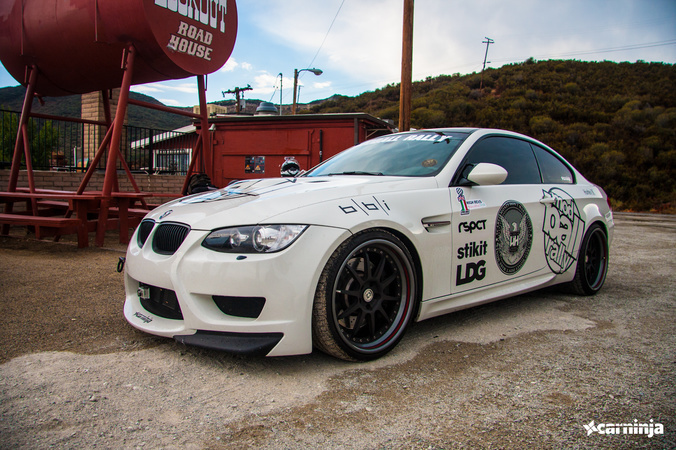 Finished off with a custom gunmetal lip and a textured black face, courtesy of HRE Wheels. If custom wheels weren't enough the attention to detail on the wheels was stepped up a notch with custom vinyl pinstriping by IND Distribution. 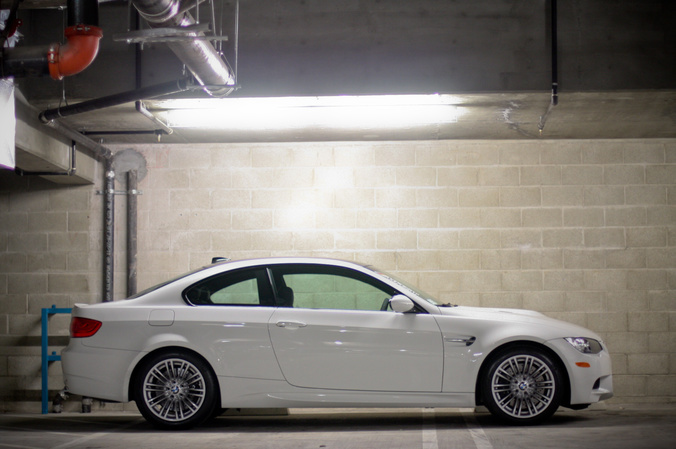 The ride height was lowered just right, thanks to H&amp;amp;R Sport Springs. 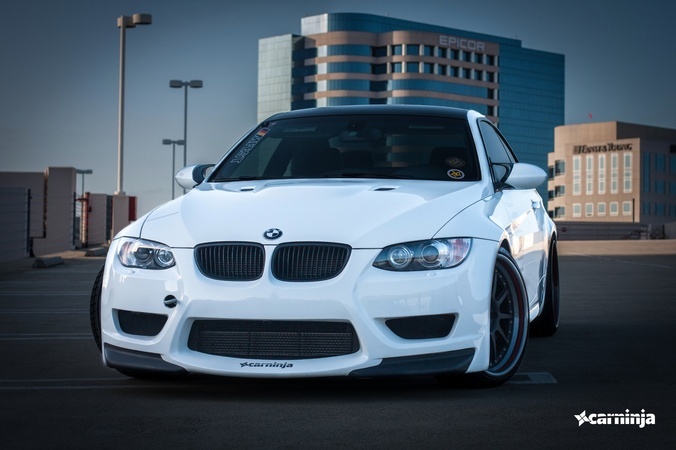 Keeping cool in SoCal is a must, so for tint we went with 20% Charcool Tint by Madico. 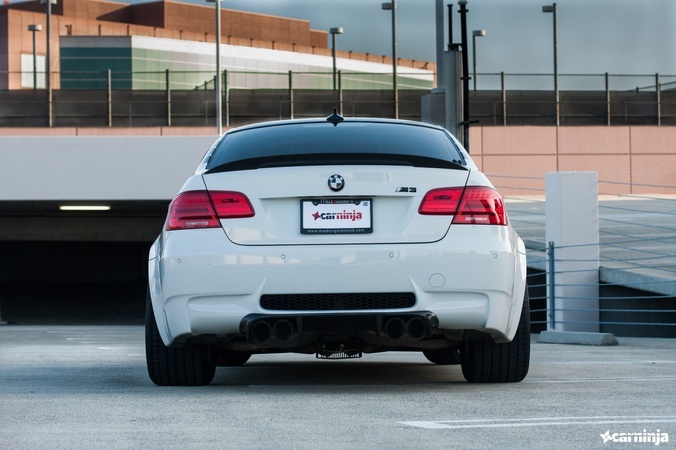 The car was begging for some carbon fiber goodies, so we gave her a OEM BMW Carbon Fiber Rear Spoiler and added the Carbon Fiber Challenge Diffuser. 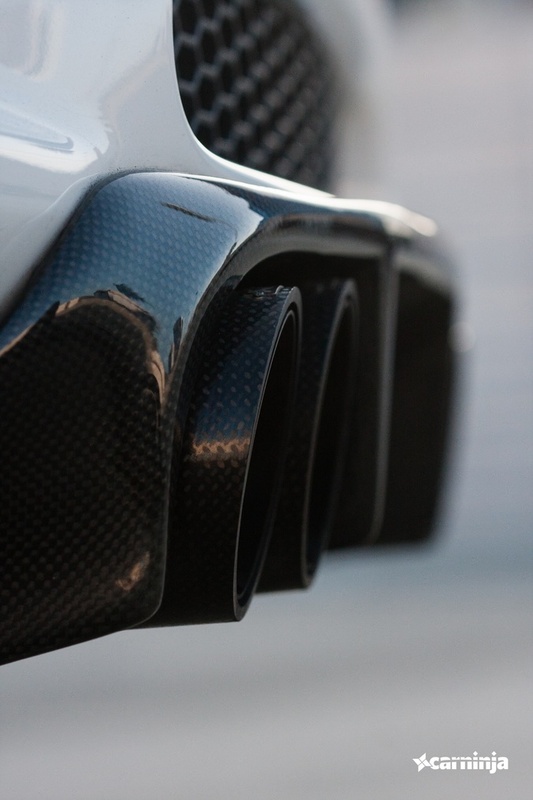 To complement the carbon fiber goodies and to make this thing scream we equipped the Akapovic Titanium Slip-On Exhaust w/ Carbon Fiber Tips. It didn't stop there, to make this a bit louder and sound absolutely mental we added the Mastermind Race X-Pipe w/ cat and resonator delete. 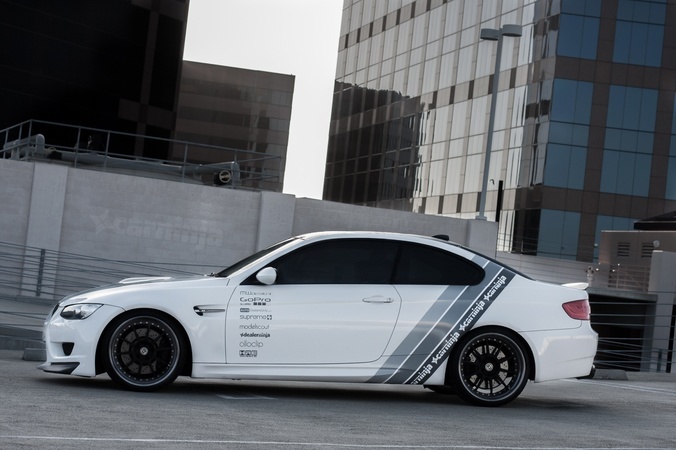 Finishing off the exterior mods, we gave her custom Greyscale BMW Roundels and M3 badges. 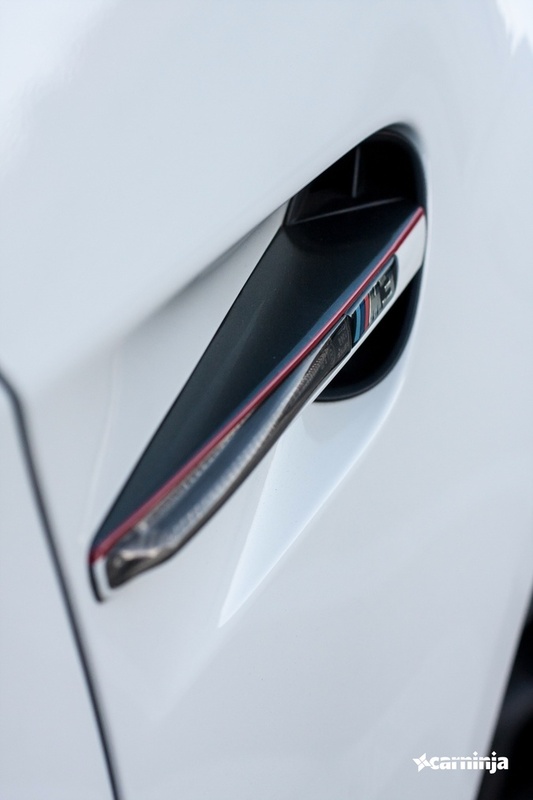 Even the side markers got an upgrade...custom side markers with tinted lenses, done by IND Distribution. 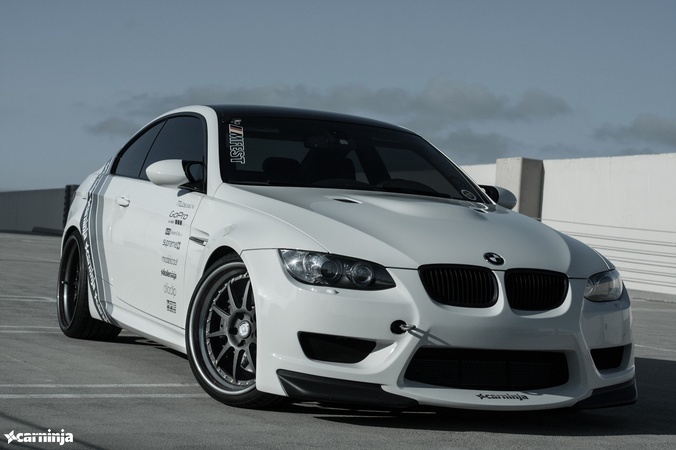 Our 2011 BMW E92 M3 project car. From clean to mean.